The serenity found in Cornwall’s wooded hillsides and remote location belies the fact that this Litchfield County town once contributed to the most important iron-producing region in the country. As part of what is today called the Salisbury Iron District, Cornwall manufactured iron that was nationally recognized for its quality and durability. 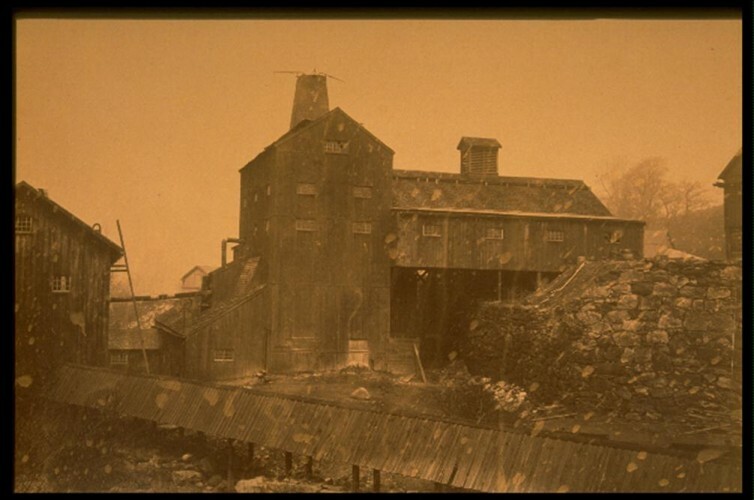 Iron production in northwest Connecticut began in the colonial era. The area contained small-scale ore deposits and its forest and water resources made it ideal for iron production. (Timber provided the raw material to produce the charcoal that heated the iron industry’s forges and blast furnaces while water served as a power source.) With the decline of agriculture in the early 1800s, small-scale manufacturing bolstered local economies. In Cornwall, iron production formed this expanding manufacturing base. By 1851, twelve companies operated blast furnaces in northwest Connecticut. Among them was the Cornwall Iron Company, which built its furnace in West Cornwall in 1832. A second area furnace, built in Cornwall Bridge by the Cornwall Bridge Iron Company, followed in 1833. The iron these companies produced found its way into everything from ironclad ships used in the Civil War to the materials utilized in expanding the nation’s railway system. Salisbury district iron was even put to use in the anchors and chains found aboard the fabled warship the USS Constitution. By the end of the century, however, changes to the power sources and raw materials used in iron manufacturing brought about a protracted decline in the region’s production. As industries turned to coal, and then electricity, to power their operations, the antiquated waterpower and charcoal resources of northwest Connecticut proved increasingly inefficient. To make the problem worse, years of clear-cutting left the area’s available firewood in short supply. After surviving for almost 200 years, and having made significant contributions to the country’s military victories and economic expansion, Cornwall’s iron industry, like that of the Salisbury district as a whole, had ceased operations by the early 20th century.